Android 4.2.2. is currently in the process of getting rolled out to owners of the Sony Xperia ZL. Both the LTE and the HSPA+ models are receiving firmware build 10.3.A.0.423 via an OTA update. 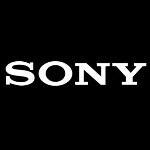 According to the official changelog, the update brings the latest version of Sony Media Apps and includes a new app called my Xperia which helps you find your phone if it's missing. Should your Xperia ZL fall into the wrong hands, my Xperia allows you to secure the information on your phone. The update also adds a new navigation bar with access to quick settings and allows for new widget functions on both the lockscreen and home screen. And lastly, the update increases the capacity of the microSD slot on the device to 64GB. That obviously comes in handy for those who like to store videos, pictures and files. Android 4.2.2 is being sent out OTA and you can check your Sony Xperia ZL to see if your phone has received the update by going to Settings> About this phone> Software update> system updates. You can also hook your phone up to your PC and pull the update out of Sony PC Companion. Sony recommends using a Wi-Fi connection when downloading the update. Remember that these updates are usually sent out in waves, so if you don't receive it today or even tomorrow, be patient. It will arrive. Just wait and see.. Like Xperia P and Xperia S, the Xperia P gets it first (4.1.2).. The Z and ZL are nearly identical. I presume that the update for the Z will be released very soon. There must be a reason why they didn't release the update simultaneously considering that other phones with more different specs were receiving the updates together (e.g. my P and the go which have diferent specs). It could be that the Z is wider released and it demands more regional versions. Sums it up perfectly. I'm hoping the Z gets software improvements to take more advantage of its waterproof self. Ah yes, time for me to enjoy it.